Ships from and sold by Cutlery and More. 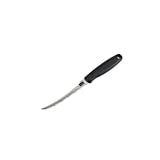 Amazon's Choice for "wusthof paring knife"
Best knife ever. 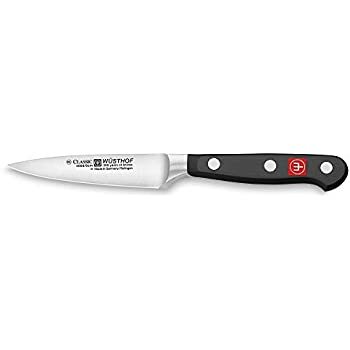 I could not cook without this knife. Not just for tomatoes. — Bita B.
Wüsthof's best-selling collection for generations, Classic full-tang knives are precision-forged from a single piece of an exclusive high-carbon stainless steel. 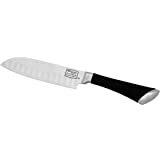 Classic knives feature a new handle design made of a highly durable synthetic material – Polyoxymethylene (POM) – which has a tighter molecular structure to resist fading and discoloration. 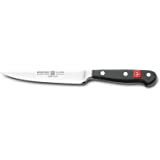 The Classic 3 1/2" Paring Knife is the second most important knife to have in the kitchen. 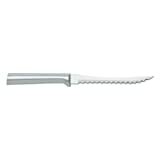 The small narrow blade tapers to a point at the tip and is easy to handle making it the perfect knife to trim and slice and peel small produce such as garlic cloves and herbs. 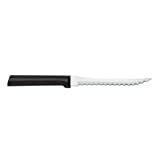 This is our go to paring knife now. It's great quality and extremely versatile. My boyfriend and I both use it and we like the balance. 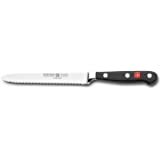 With this knife and a good chef's knife you can meet 95% of your cooking needs. It holds an edge really well. We couldn't be happier with it! 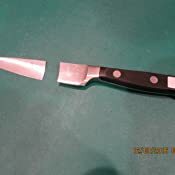 This replace the same knife that went missing after having a large number of house guests (I suspect the original got thrown out). Still my favorite paring knife. 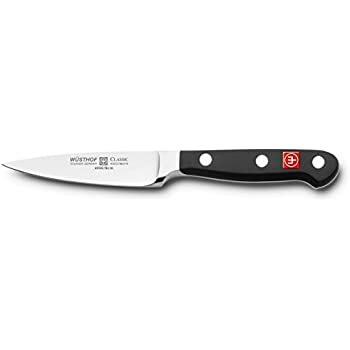 It is the best knife I own, and I own many good knives from the likes of Wusthof and Zwilling and Sabatier and even Chicago Cutlery and Dexter and even the brilliant Chinese slicing cleaver I use for jointing whole chickens.It is razor sharp out of the box, well-balanced, quick, firm in the hand, and also it is nice to look at. 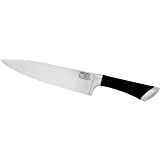 Expensive for a paring knife, but this one defines the breed. Excellent knife. Extremely sharp, nicely weighted, and well balanced. 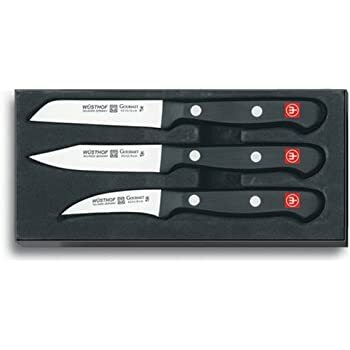 I love Wüsthof knives. 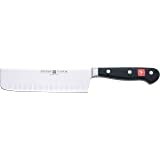 They are expensive there's no doubt about that, but the quality of the blade and length of time you will have this product make the knife worth the money. 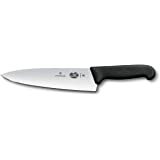 I enjoy cooking and having the right quality tool for the job makes all the difference. 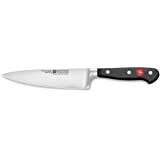 5.0 out of 5 starsA good knife. I have bought three of these, two as gifts. 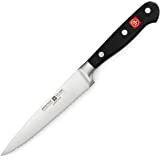 It has a good heft and is sharp and easily re-sharpened and honed. 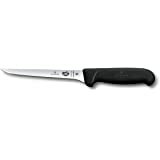 Everybody likes them, as they are superior to your garden variety of kitchen knives. Honestly, my mother and aunt have some of the same knives we had over 40 years ago, and complain they don't cut! This was purchased as a Christmas gift for my Mom. 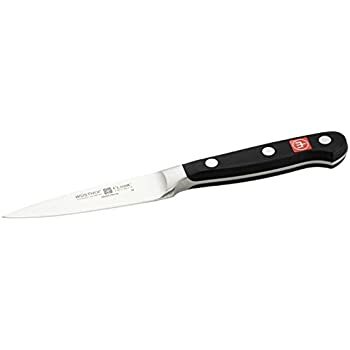 She's still using the Cutco knives that my brother sold here 20 years ago. 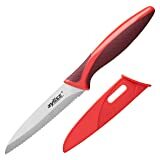 Despite sending them back to Cutco for "sharpening", I was always afraid of using the Cutco knives as I felt like I was pressing the knife through the vegetable or meat. I have several Wustof knives and I love them all. And I spent much more on at a brick and mortar store. 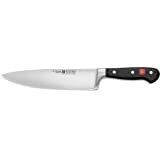 6 months later, the knife is still gliding through chicken, squash, and lemons. Perfect! Nice and sharp, high quality. Couldn't ask for better! These are forged steal, not stamped - so you know they'll last a lifetime! It's a perfect little knife for a variety of uses, not just paring. Recommended by American Test Kitchen and I agree with them. I reach for it several times of the day.